Vegetative marijuana loves nitrogen and will absorb it quite quickly. More nitrogen is needed by the plant during it’s vegetative stage, and a balanced amount is required throughout the plants life cycle. Nitrogen is easily washed away with water and must be applied regularly. Too much nitrogen in a harvested plant will cause it to burn poorly. Nitrogen regulates a marijuana plants ability to build proteins essential for the creation of new cells and is essential for production of chlorophyll, amino acids, enzymes, alkaloids and nucleic acid. It’s major purpose is for leaf and stem growth as well as the plants overall size and vigor. Nitrogen is the most common nutrient deficiency when growing marijuana. Symptoms of this deficiency are slower growth and lower older leaves start to turn yellow because they can’t produce chlorophyll. Nitrogen is very mobile and dissipates quickly into the environment, and it must be added regularly to sustain fast growth. Signs of a marijuana nitrogen deficiency begin on lower leaves and move up the plant. 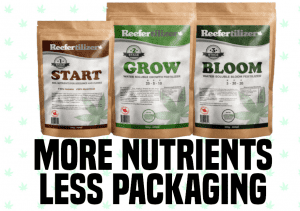 To fix a Nitrogen deficiency, fertilize your plant with nitrogen or a full NPK fertilizer. The plant should begin to improve in 4-5 days. Nitrogen toxicity causes the foliage to become delicate and dark green in colour, and is very susceptible to damage from bugs, and infection. Water uptake is slow, stems weaken and if it’s severe, leaves will begin to dry out, turn a brown copper and start to fall off. Toxicity can be treated by flushing the soil with a diluted full NPK fertilizer. 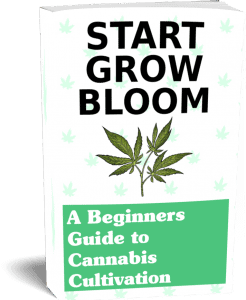 Welcome to Know Your Grow!